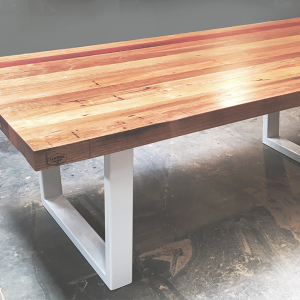 A beautifully finished salvaged timber table set atop a contemporary steel frame base. Table tops are available in various sizes and thicknesses, and the legs can be configured to suit your style. The durable powder-coating is available in a range of colours. 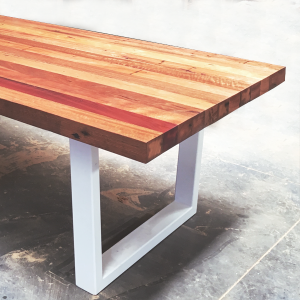 Timber textures range from naturally weathered to highly polished.